"Thank you so much for organising our school visit to The University Library. The talk and the description of the items on display were very informative and brought the whole thing alive for the students. Personally it gave me an insight into an area of knowledge that I had hitherto known nothing about. That is what is so good about our library visits, we look at documents that enhance our understanding of different aspects of history." The Genizah Unit is a research unit and lacks the staff and space to provide a permanent display of manuscripts. 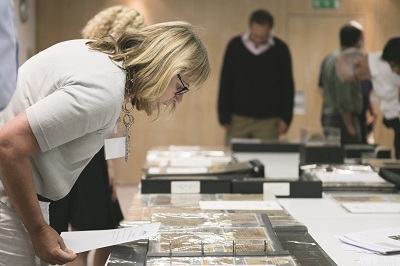 By prior arrangement only, we can host a visit of up to 2 hours for organised groups that will provide an introduction to the Collection and a viewing of selected Genizah manuscripts. We are unable to host on Sundays when the Library is closed. If your group is from a recognized educational institution (such as a school or university), your visit will be free of charge. However, unless part of a school group, children under 17 yrs are not normally allowed in the Library. 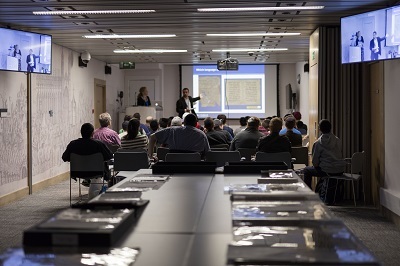 If you are a Friend of the Genizah at the ‘Manuscript Level’, you may arrange to bring a group of up to 10 people (you and 9 others) for a private viewing of Genizah manuscripts. For those unable to form a larger group, we are offering an additional service on the first working day of each month. One of our researchers will host a small group of a maximum of 6 people and show and talk about a selection of manuscripts from the Collection. The visit will last for about 1 hour and start at 2pm on each date. £20 per person, payable online in advance, once registered through the contact details below. "I am writing to say thank you once again for such a fascinating and inspirational talk and introduction to the Geniza collection. It was, all in all, a remarkable and memorable afternoon. 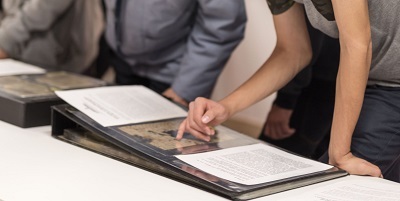 Having heard of the Cairo Geniza from time to time and its treasures it was amazing to be introduced to it – and the reality turns out to be even more impressive, and to actually be so up close to our living history was deeply moving."